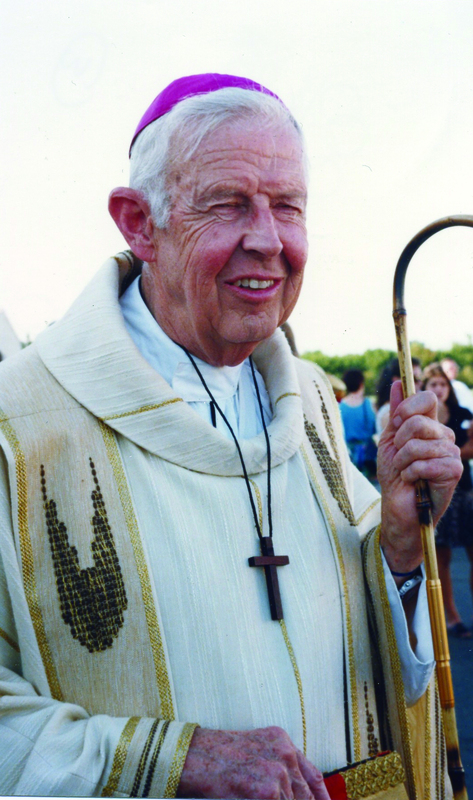 Bishop Emeritus Francis A. Quinn served as a bishop of Sacramento from January 1980 to January 1994. His episcopate began in June 1978 as an auxiliary bishop in the Archdiocese of San Francisco. Bishop Quinn’s tenure is remembered widely for his pastoral nature. His genuine and affable manner marked his ministry, then and now, with an enduring fondness among the masses for his kindheartedness, his outreach to the poor and vulnerable, his diplomacy, and his humility. Bishop Quinn’s noteworthy work often focused on ministry, and how to gather together and engage the faithful as leaders. He inspired and encouraged women to lead in parish governance, educational, liturgical, financial and social ministries. He also activated lay individuals to continue their formation and assume leadership roles in various groups and movements. Bishop Quinn also responded to the decrease in priestly vocations by supporting and restoring the permanent diaconate. On the social justice front, Bishop Quinn personally involved himself in a range of causes and actions. His witness motivated Catholics and non-Catholics alike to contemplate, or think again, about many social issues that plagued the period. Dignity-of-life issues were paramount. Bishop Quinn would visit and immerse himself into society, working and serving the homeless. He supported the launch of an AIDS hospice, and he protested the death penalty on the steps of the Capitol and at prison gates. He also spoke up regarding nuclear disarmament, immigration policies, and many foreign issues.